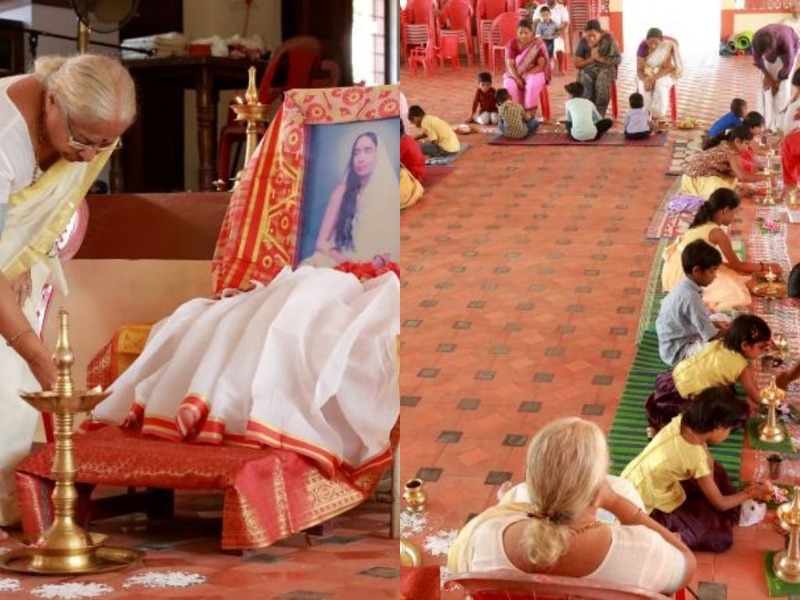 Every year commemorating the birth anniversary of Holy Mother Sarada Devi’s Birthday, Sandeepani Sishuvihar organizes Matru puja. 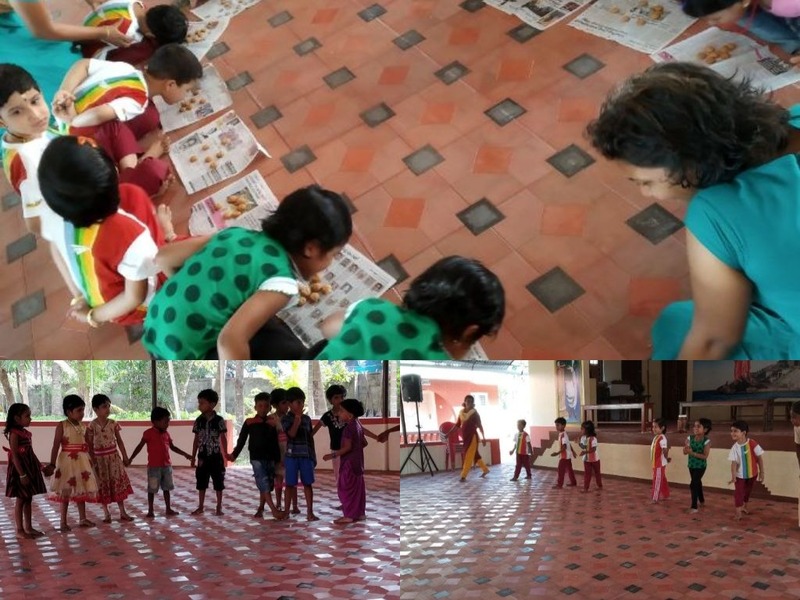 Not only the present students of Sandeepani Sishuvihar but also the children of Samskar Varga and children from the neighbouring houses, get an opportunity to learn how to worship the feet of their mothers and grandmothers. 26th December morning was the Matrupuja. 25 children took part. Mananeeya Lakshmi Didi guided them. 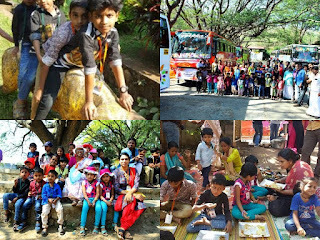 January 2nd proved to be a memorable day for our Sandeepani Sishuvihar childr3en and their guardians as they were to go on an excursion to the famous Malampuzha dam. At 6.30a.m. the Ayyappa Air Bus carried 16 kids, 7 other children and 31 parents and 2 teachers, with plans to halt in between and visit other places of interest. At 8.45 a.m they reached Peechi dam site and had their eagerly awaited breakfast. 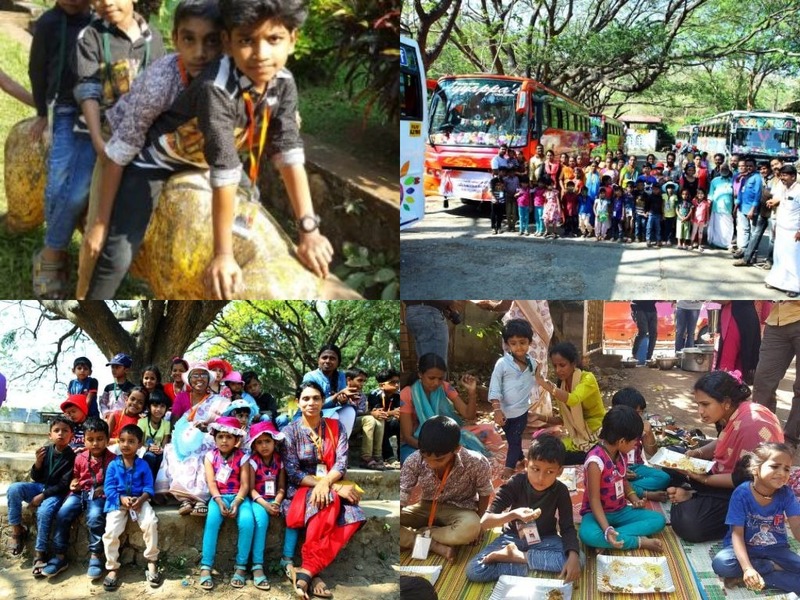 After visiting the dam and gardens they proceeded towards their destination Malampuzha by 11.45 a.m. Fort, Hanuman temple, were visited on their way and had their lunch at Children's Park at Malampuzha. Children were enchanted to see the vast collection of fishes and other aquatic animals in the aquarium as also the snake park. They were thrilled to go up the dam through the ropeway. The various rides at the Park were equally enjoyable. The beautiful flowers, trees and well maintained lawns made them happy and joyful and like little birds and animals they jumped from place to place thoroughly enjoying the freedom (from classrooms) they waited for the evenings’ light show which was a sight for Gods. At 7.00p.m they started back, had food on the way and got back to Kodungallur by 11.45 p.m.
game , running race, spoon race were conducted. Mothers of the tiny tots gave a helping hand.